the boss of Veer music Entertainment, VME, has been inspired by rapper YCee with his (YCee) latest jamz, “Juice” that has hits many views on Youtube. 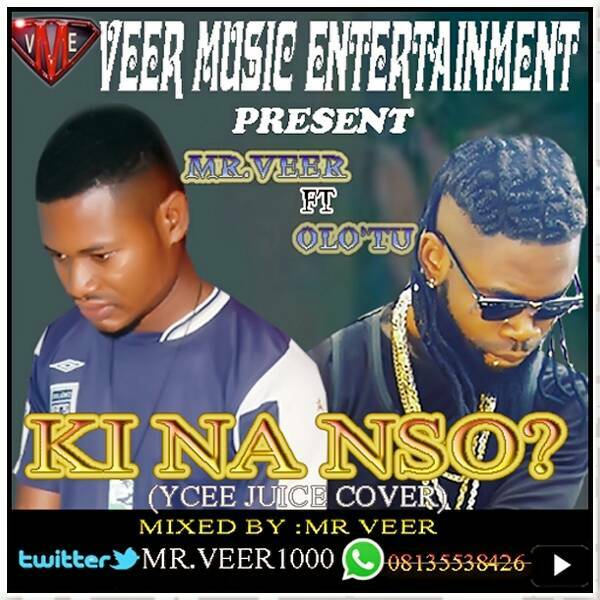 Mr Veer partnered with Olotu baba to disseminate the inspiration gained from “YCee – Cover” and they dubbed The burning inspirational song as “Ki Na Nso”. “Ki Na Nso” literally mean “What are they saying?”. This is a jamz to get your hopes high against the haters. You definitely need to hear this!